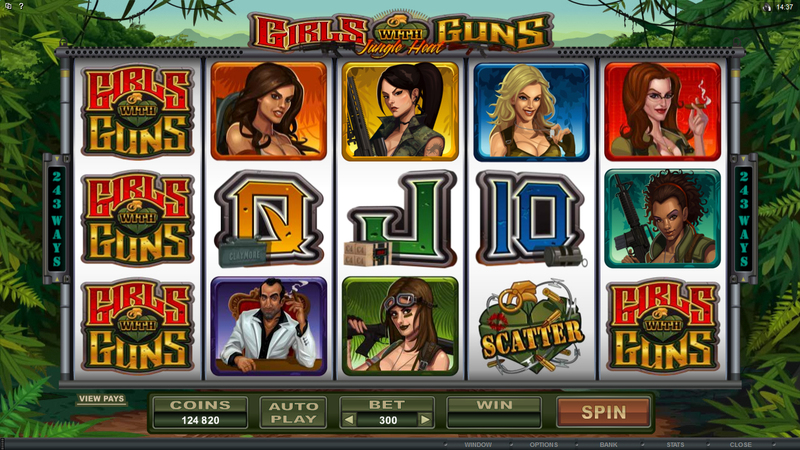 If you enjoy games with powerful leading ladies, like Agent Jane Blonde or the Tomb Raider series, it’s time to check out the latest addition to the Microgaming platform, Girls with Guns – Jungle Heat. This entertaining 5-reel slots title offers players 243 ways to win, all set against the backdrop of a gripping action adventure tale. Join the girls with guns as they fight their way through the jungle to reach the drug lord Hector’s basecamp. Along the way you’ll have plenty of opportunities to appreciate the Amazonian good looks of these ladies, as well as their awesome firepower. Each of the six femme fatales has her own specialty: Leader (Katherine), Sniper (Kira), Tactical (Zoe), Artillery (Maria), Demolition (Alex) and Infiltration (Jess). Will their unique abilities combine to create a victory over the evil drug lord and his henchmen? You have to play the game to find out! Bets from $0.01 to $30 accommodate all budgets. A choice of Quickspin or Autoplay allows you to enhance your game experience. Widescreen view, high-quality animations, and fantastic sound effects provide immersive play. Stacked Wild symbols increase your chances of making a match. 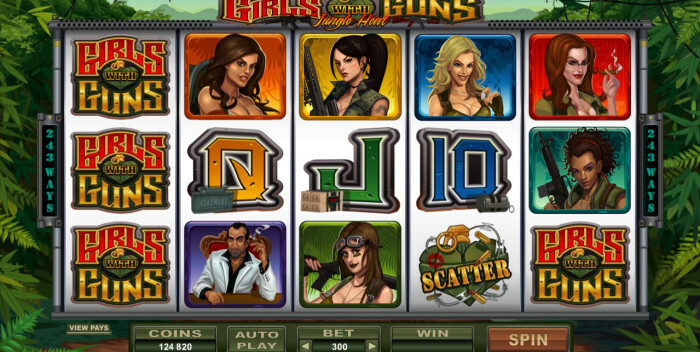 Grenade-themed Scatter symbols lead to retriggerable Free Spins with one Wild reel. Match three symbols in any position in three adjacent columns to win. Built on the extremely popular Fellowship of the Ring engine for a fresh way to play that rewarding slots program. W(h)ere’s the Cool Wolf Slot?